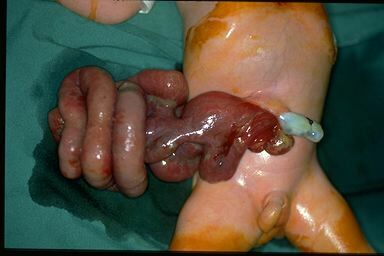 GASTROSCHISIS is a condition where there is a defect at the anterior abdominal wall (usually towards the right of the umbilical cord insertion), leading to the evisceration of the intestinal segments or abdominal contents as seen in the picture above. Because of this, the intestines is now exposed to the amniotic fluid where the baby floats. (Amniotic fluid is made up mostly of the fetus’ urine, thus may contain chemicals that can be irritating to the intestines but not to the baby’s skin). This exposure triggers the intestines to react to the amniotic fluid, causing inflammatory response, thickening of the intestinal walls than their regular diameter when not exposed to amniotic fluid. If an operation is attempted immediately at birth, it would be impossible to put back all those intestines into the abdominal cavity at once hence a silo bag is placed to contain the intestines outside of the abdominal cavity. Slowly the intestinal contents in the silo bag is pushed (in days or weekly basis) until the abdominal cavity is able to contain everything, thus the wound is now closed. The abdominal wall is sterilized. Then under ultrasound guidance, a needle is poked into the amniotic cavity. Amniotic fluid is then aspirated, and then an equal amount of normal saline solution is replaced back. This is then repeated until the return flow becomes clear in color. This is being done in order to refreshen the amniotic fluid that might irritate and cause inflammation of the intestines that has eviscerated outside the abdominal cavity (as you recall that the amniotic fluid is mainly composed of the fetus’s urine). If the intestines become inflamed, the abdominal cavity might not be able to contain everything when replaced all at once during a corrective operation. I was lucky again to have witnessed a case of a baby with gastroschisis, diagnosed prenatally via an ultrasound, and who underwent the above procedure. The perinatologist did serial amnio-infusion treatment on the baby (of course, while mom still pregnant with him) until the time that delivery was already inevitable. During one of the amnio-infusion treatment, I was a witness and assisting the perinatologist. The postnatal outcome was marvelous! During delivery, we did a double set-up at the operating room. At one room was the cesarean section for the delivery of the baby. At the other room was the team of the pediatric surgeon waiting. We, the neonatology team was in between. A sterile plastic container was readily available. When the baby was out of the mother’s uterus, we the neonatology team attended to the baby immediately. We were so lucky that baby was vigorous upon delivery so there was no need to help him breath. Immediately while my colleague was wiping baby dry off the amniotic fluid, I was inserting a line and my other colleague was putting the baby’s legs, intestines and his lower trunk into the sterile plastic. This is to avoid losing much fluid from the abdominal cavity and contaminating the intestines and abdominal cavity. Then we immediately brought baby to the other operating room where the pediatric surgeon was waiting. Primary closure (all intestines brought inside the abdominal cavity at once) was done on baby. This was easily possible because the intestines weren’t that much inflamed, thanks to the amnio-infusion, thus the abdominal cavity was able to accommodate them all. I wasn’t sure though if all layers of the abdomen were co-aptated and sutured all together, or just the skin and the subcutaneous layer, my bad not to have remembered. The baby was able to tolerate feeding immediately. Because of this, the baby did not stay long in the hospital, went home in less than two weeks if I was not mistaken. I guess this is another benefit of amnio-infusion – avoid prolonged hospitalization and thus hospital acquired infections. I wish to do this again, now that I am in private practice. Premature baby, 25 weeks gestation, was referred to my service immediately only after he was delivered, as the mother arrived in the hospital in active labor already. With all my might, I drove hastily to attend to him as the first few minutes is very critical for baby’s survival – their breathing, their temperature regulation more importantly. 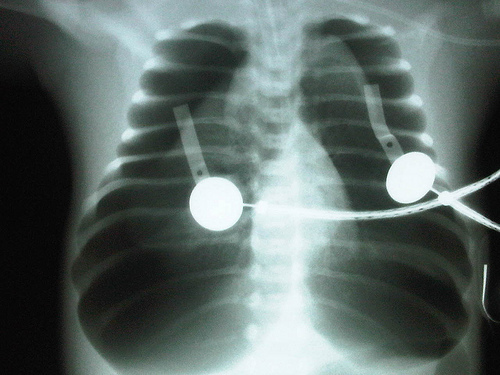 Gladly, their referral was, baby is on 100% oxygen saturation with low flow oxygen via his nasal catheter. The first 24 hours of preterm was essentially unremarkable, he was stable. In fact, on the 25th to 30th hour of life, I began weaning off the ventilatory support. (amazing) But on the 36th hour of life, he started deteriorating. Ventilatory support had to be increased to the point of a peak inspiratory pressure at 40 cmH20. This was the only setting that he became stable… (but with a PRIZE!) When I noticed that he was stable, I decided to go home and have my dinner. But upon arriving at home, I got a distress call that his heart rate suddenly fell. It was gut-wrenching feeling… I immediately ordered x-ray while I rushed back to the hospital (a 10 minute drive without traffic for an amateur driver like me). Lo and behold, he had pneumothorax on both lungs! Not just pneumothorax, but TENSION pneumothorax. There was a point of rupture somewhere along the baby’s lungs where air escaped from into the chest cavity. The air leak kept on increasing volume, on an enclosed space, thus compressing the lungs like a tin can, as well as the heart. This compression disables the heart to pump blood effectively thus causing decrease in the strength of pulses, blood pressure, faint/distant heart tones. I immediately inserted needle onto the chest of the baby, both sides, after proper preparation and giving baby analgesics, to drain the air from the chest, to stop compressing on the lungs and heart. But… it was not enough. There was continuous exodus of air, and the baby’s heart beat and oxygenation has not improved significantly; I thought that the air leak must be so large that’s causing continuous egress of air. Needle thoracentesis. (Image courtesy of http://gtranatomy.blogspot.com/2011/04/blogation-numero-cuatro.html). Of course, this was done with baby lying supine though. I called in the pediatric surgeon to insert a bigger tube to help drain the chest of air. This was indeed a pulse-raising scenario. Had I a heart condition, I could already have chest pain or maybe heart attack at that instant, that was how tension-filled the NICU was at that moment. When all things were settled, I finally bid them everyone. I went to an open fast-food chain to buy myself a dinner. It was midnight. Then I drove back home, to rest… because in a few hours time, I have a scheduled CS delivery to attend to. Few weeks ago, someone sent me an SMS seeking an appointment. She is a first-time pregnant woman who wants to discuss the results of her second ultrasound findings. She told me her baby was found out to have hydrops and she wants to hear my opinion. Well, that was kinda flattering, but the person she really needed to see is a perinatologist (an obstetrician who subspecialized on very problematic pregnancies, and this pregnancy is one example). Nevertheless, being a neonatologist myself, I may also be able to give her my piece, though on a limited span. I saw her after few days, together with her mother, and before they sat, she handed me the ultrasound findings. It’s true, the baby was visualized to be hydropic (generalized swelling) on ultrasound. As I shifted my eyes from the ultrasound result to her face, she was already on the verge of tears. You can see there the longing to hear a different opinion, that perhaps the ultrasound result was erroneous, that the baby will still become normal eventually. But I am not someone who will nurture that false hopes she was brewing. I told her that a single ultrasound finding is not definitive. The baby has to be serially monitored and the best person to do this better be a perinatologist. She heeded and went straight to the perinatologist immediately after we ended our conversation. Few days ago, while attending to the delivery of a baby whose placenta separated totally from the uterus, I was notified that the mother with a hydropic baby was scheduled for cesarean delivery at seven in the evening of the same day. I asked why the preterm termination of pregnancy, the resident reckoned the mother already began to have abdominal cramps (labor pains). This was the 26th week of pregnancy (panic mode alerted! Baby is extremely premature). If baby was premature, then there’s not much problem; if hydropic, there’s not much problem. But if you combine both prematurity and hydrops, that’s too much of a trouble. I almost swallowed my testicles that rushed up my throat upon hearing the news of imminent delivery later in the day. The operation commenced. Upon opening the uterus, the amniotic fluid was so voluminous. This must be stretching the uterus beyond limits that prompted it to contract and expel the baby. After almost four liters of amniotic fluid was siphoned, the baby was next. The baby’s feet was first to be delivered. It looks big for a 26 weeks old baby, more like that of a 34 weeks. Then the body followed. There was almost difficulty of delivering the baby as the abdomen was too distended and tense, and so was the head. The skin was so taut from abdomen to the face, his lips were almost like a fish mouth in appearance. Generally, the baby looks like a victim of drowning. She was gasping for air. I immediately intubated her to assist her breathing as her chest will have difficulty in rising. I took picture of the baby and showed it to the mother as I can’t let baby have skin-to-skin contact with the mother, while the nurse rushed baby to the incubator at the adjacent nursery. I provided mechanical ventilatory support but the baby wasn’t improving much. I showed baby after attending to her immediate needs to her lola. I asked them to provide surfactant that may help baby get better, but they were reluctant as they think it is an extraordinary measure anymore to do heroic measures. They were already resigned that the baby will not make it; and if ever, will grow up impaired. Maybe I was wrong to ever ask them to procure some medicine, or they were right all along not to continue providing baby’s needs. I did some work-ups to help me identify the probable cause of baby’s hydrops. Hydrops is usually called by a problematic baby’s heart. Because of it’s inability to pump blood well, the fluid gets retained and thus explains why the baby’s entire body swells, including body cavities damming up with fluids. Another most common cause of hydrops is anemia of severe degree. Because of anemia, the body lacks adequate oxygen delivery. Baby’s heart now have to work more than double time to cope up with the body’s demand (just like in a congestive heart failure), and likewise ending up generally swollen. For this particular baby, her blood work-up showed a very, marked anemia. I wish I could do further test and identify what could be the cause of the anemia but then I was limited. I could transfuse blood to reverse the condition, it could have been easy. But there was a major road block. Parents are Jehovah’s Witnesses. (Oh, I was doomed.., nothing further). 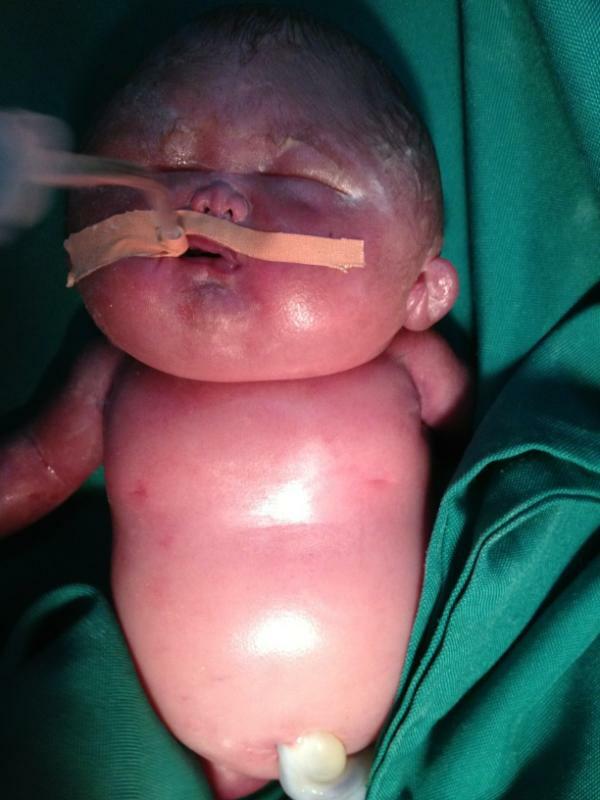 Five hours from birth, baby’s condition still never improved. Her heart already showed declining function… The heartbeat and oxygen saturation keeps on falling… her color started to turn darker… I asked them if they have some practice of baptizing baby or a minor before death, they said it was up to them to pray for the baby. I respected their religious view. Six hours from birth, baby finally succumbed. 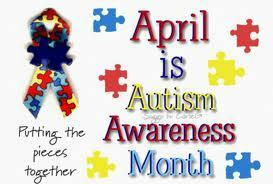 Autism is a brain disorder that limits a person’s ability to communicate and relate to other people. It first appears in young children, who fall along a spectrum from mild to severe. Some people can navigate their world, some have exceptional abilities, while others struggle to speak. Autism spectrum disorders (ASDs) affect about one child in 88, striking nearly five times as many boys as girls. Babies who do not have autism can have these behaviors, too, but it’s best to contact your doctor right away with any concerns. (This is one reason why media – television, PSP, tablets, cellphones, shouldn’t be allowed among infants. They have to interact naturally with their environment for the skills above to develop normally, and thus help us distinguish if the behavioral deviation of one child is pathologic or not). No interest when adults point out objects, such as a plane flying overhead. People with autism sometimes may have physical symptoms, including digestive problems such as constipation and sleep problems. Children may have poor coordination of the large muscles used for running and climbing, or the smaller muscles of the hand. 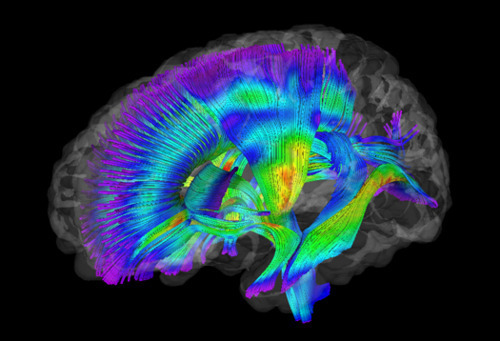 About a third of people with autism also often have seizures. There’s no medical test for autism, but exams may be helpful to rule out hearing loss, speech difficulties, lead poisoning, or developmental problems not related to autism. Parents may need to answer a list of questions – called a screening tool — to assess a child’s behavior and communication skills. Getting treatment early, ideally before age three, can greatly improve a child’s development. Children with autism may be extremely sensitive to sounds, touch, taste, sights, or smells – similar to a condition known as sensory integration disorder. For example, they may be upset by bright flashing lights or a school bell. A small study by Temple University researchers found that helping children adjust to different sensations led to fewer autistic mannerisms and better behavior. Even nonverbal children can talk with new devices that are designed to convert pictures or text to spoken words. The technology includes pocket-sized devices and “apps” for smart phones or computer tablets. Autism Speaks, an advocacy organization, maintains a list of resources for families at http://www.autismspeaks.org. Digestive problems are common in children with autism, and about 30% of them may eat nonfood items such as dirt or paper. Some parents have tried a diet free of gluten (found in wheat) and casein (a milk protein). Other diet changes, including the supplements B6 and magnesium, have been touted. So far, there’s not enough evidence to show that any diet plan works. A doctor should supervise trial diets to ensure good nutrition. The Web is full of unusual treatments for autism offered to desperate parents. To learn if a treatment is safe and effective, first check with your child’s health care team. The Autism Society of America has a good list of questions parents can ask providers of new or unorthodox treatments. Some can be dangerous, including chelation therapy. In 2005, a 5-year-old autistic boy died after this unorthodox treatment, which seeks to clean heavy metals from the body. Scientists don’t know the exact cause of autism, but since it runs in families, genes probably play a role. Research is under way to see whether chemicals in the environment or infections before birth are to blame. Autism is more common among people with other genetic disorders, such as Fragile X and tuberous sclerosis. Taking valproic acid or thalidomide during pregnancy increases the child’s risk for an ASD. (Another risk for autism and other complex behavior disorders is advanced paternal age, meaning, father is >40 years old by the time the baby is conceived). No link has been found between vaccines and autism, despite many strong scientific studies. Researchers have scrutinized the measles, mumps, and rubella vaccine (MMR) since a 1998 British report raised concerns. That report has been retracted by the Lancet medical journal for poor science and fraud. Thimerosal, a form a mercury, was removed from childhood vaccines in 2001 as a precaution — though no good evidence ever linked it to autism. People who have one child with autism have a 19% chance that another child will have it, too, according to a recent study. If two children have autism, the risk is even higher for a third sibling. A study of twins found that when one fraternal male twin has autism, there’s a 31% chance that the other twin will have it, too. When autism affects a boy with an identical twin, there’s a 77% chance that both boys will have an ASD. Federal law gives children with disabilities the right to a “free and appropriate education,” beginning at age 3. This could include one-one-one services or parent training. Your child may get an aide in the classroom or an assistive device. Placement will depend on the child’s individual needs, whether that calls for being “mainstreamed” in a general classroom, a special education classroom, a special school, or even home instruction.